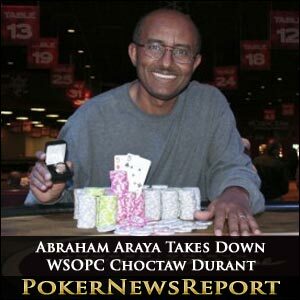 Texan Abraham Araya has picked up $270,380 for winning the $1,600 buy-in main tournament of the World Series of Poker Circuit (WSOPC) Choctaw Durant event in Oklahoma. Araya must like Durant after previously picking up two successes there with victory in the $1,500 buy-in No-Limit Hold’em Championship Event from last October’s TJ Cloutier Choctaw Poker Challenge for $83,659, as well as $3,418 for taking down the $200 buy-in No-Limit Hold’em II event the previous day. 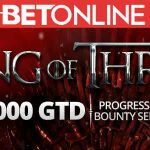 This latest triumph is undoubtedly his biggest, though, as he also collected a National Championship seat after defeating fellow American Daniel Lowery in their heads-up battle of an event that attracted 978 players to create a prize pool of $1,422,990. That’s a healthy increase of just over 21% on last year’s main event that attracted 808 entrants when Oklahoma’s Huy Nguyen pocketed $232,706 for his success. Organisers will be thrilled by that significant upping in entries and proves that players are willing to make the journey from all across North America to take part in the Choctaw Casino Resort tournament. 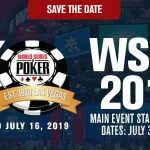 It took three tough days to reach the head-to-head, with Day 3 starting with a 2011/2012 WSOPC record-setting 30 survivors – although that was fairly swiftly reduced to 18 after three levels of play. The next two levels saw nine more eliminations to leave us with an official final table after another Texan, Drew Dumanski, left in 10th for $20,989. 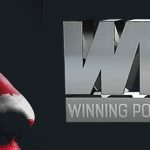 However, it was Araya who emerged victorious from what was quick heads-up battle with Arizona’s Lowery, who struggled to gain any foothold as he dropped almost two million in chips, even though there was no noteworthy action. Taking under 60 minutes, the final hand of their head-to-head arrived when Araya’s pocket fives came up against the A♥ 8♣ of Lowery. The flop showed 9♦ 9♠ 4♥ to keep Araya ahead, with the J♠ on the turn Q♥ river changing nothing as he secured his triumph and Lowery left with $167,230 as runner-up. 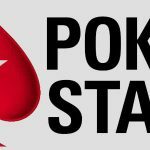 The first player to be eliminated from the final table was yet another Texan in Dejuante Alexander, who had started seventh from the last nine. Houston’s Alexander, in the cut-off seat, shoved all-in for about 1.3 million, to be called by Derek Browning – who was, of course, another Texas native. Alexander showed pocket jacks to be ahead of the K♣ Q♣ of Austin’s Browning. However, a queen arrived on the flop and Alexander was hitting the rail for a pay day of $26,069. Eighth place went to Oklahoma’s Justin Gardenhire when he lost out to Lowery. Gardenhire three-bet pre-flop, only for Lowery to go all-in, with the former then calling to show K♦ J♣. Unfortunately, for Gardenhire, Lowery revealed pocket aces to be well ahead. A flop of K♣ Q♠ 10♠ made it a little more interesting, but Gardenhire’s hand did not improve again from the last two cards and he was out for $32,771 before the dinner break. Will Nguyen – from, you’ve guessed it, Texas – exited in seventh place for $41,679, but will be very disappointed with that finish as he had started the final table as chip leader. Houston’s Nguyen turned up the aggression following his meal, but came a cropper when facing up to Araya in a huge hand. However, Nguyen still made the call to reveal A♥ K♦ – and wasn’t that far behind as Araya showed pocket 10s. But Nguyen never improved on a board that read Q♦ J♦ 2♦ J♣ 9♥ and that was the end of his tournament. Browning enjoyed (if that’s the right word) a rollercoaster of a ride once we had made the final table, with his chip stack regularly growing and shrinking. Having once again taken over as chip leader, Browning saw that crumble as he lucked-out on several draws that failed to materialise, before ultimately being eliminated in sixth place by Araya. Browning moved all-in following a flop of J♥ 5♥ 3♦ flop while holding aces. But Araya called to reveal 7♥ 6♥ to have a heart flush draw. Another heart arrived on the river to give Araya the winning flush and chip lead on approximately 13 million, while Browning left to collect $53,675. Not long after Browning’s exit, Mark Burford was joining him at the rail in fifth spot for $69,968. Louisiana’s Burford, on the button, moved all-in and was called by big blind Araya. Burford showed A♠ Q♦ to massively dominate the A♦ J♥ of Araya. But, of course, Araya was running hot now and found a jack on the flop to hold top pair and eliminate Burford. Fourth place and $92,352 went to the sixth Texan in the top 10 finishers, Jack Miller. Having started the final table with the fifth largest chip stack, Miller eventually exited when coming up against Lowery. On the button, Lowery opened, only for Miller to shove with K♥ J♣. Lowery would have been happy to see that hand as he showed A♥ 7♦ to be in front. A flop of 2♦ 6♠ 5♣ changed little, but then the 3♣ arrived on the turn to give Lowery an inside straight draw. The 4♠ river did make a seven-high straight for Lowery – and that left us with just three players remaining. But it wasn’t to be Michael Sanders’ day as he hit the rail in third place for $123,430 when eliminated by Araya. Sanders, of Arkansas, moved all-in with his pocket sevens and would have been thrilled to see Araya call with fours. Araya hit big, though, on a flop of Q♦ Q♥ 4♣, leaving Sanders requiring a seven or queen to stay alive. But neither card arrived and Sanders was out to leave us with the heads-up battle between Araya and Lowery.